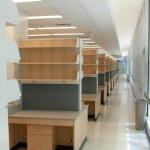 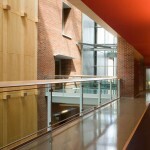 Scope included architectural millwork of wood panels in the Atrium and wood celings as well as install of the laboratory casework. 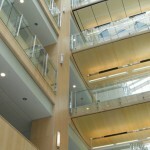 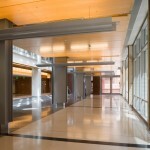 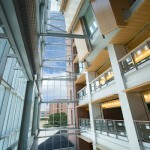 Mahogany supplied and installed the wood paneling in the Atrium, which is 5 stories tall. 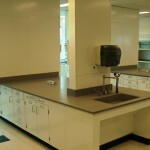 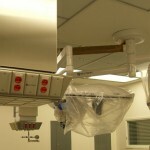 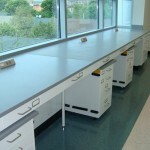 Other work included wood and laminate casework, solid surface countertops, door and hardware, including a pop out darkroom door, as well as some rough carpentry.